Excellent grooming still needs performance. Great handling can win dog shows and so can brilliant grooming, so, which is the most important? If a poorly presented dog flies into the ring with every sinew oozing breed type with carriage straight out of the standard and completes their entrance by coming to a perfect halt quivering with animation, is it more likely to win over the dog that is immaculately put down, in superb physical condition with its coat glistening but plays up the whole time it’s in the ring? Yes, you’re right; it depends on the degree of poor presentation versus the poor performance, but it does present an interesting comparison. Many exhibitors spend inordinate amounts of time on presentation yet do not expend anywhere near the same amount of effort on their dog’s performance. 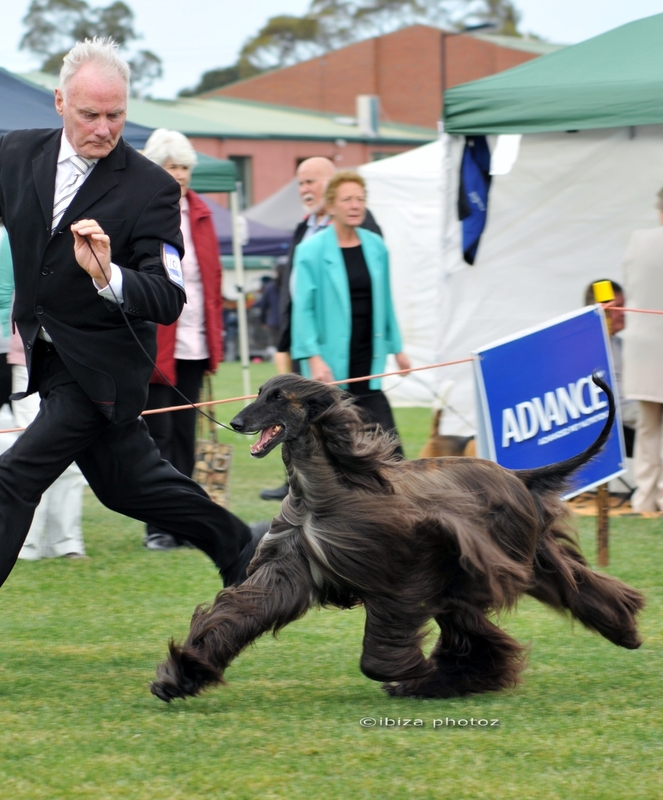 Many exhibitors, of long-haired breeds in particular, become so fanatical about the coat that they forget the overall purpose and function of the dog. They stress out over a single hair being out of place so much so that the preparation time dedicated to ring performance is frequently sacrificed. 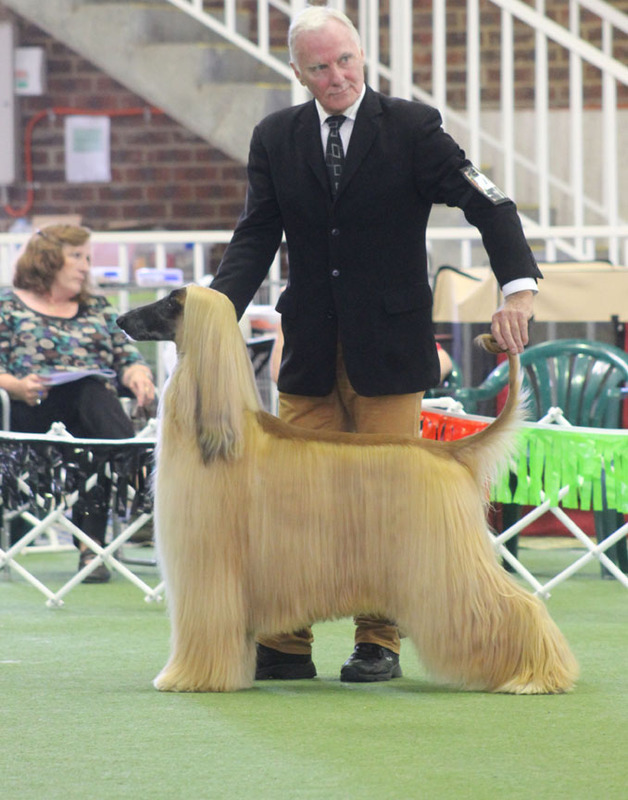 In fact, many exhibitors of all breeds are quite content to have their dogs behave badly so long as they look immaculate. In my experience, I would suggest that the prevailing wisdom is that it is far more acceptable for a dog to win on presentation regardless of performance than the other way round. Don’t get me wrong, presentation is important – these are, after all, show dogs. However, if we are going to put that much work into our dog’s presentation, then we owe it to ourselves to put at least as much effort into their performance. And by effort, I don’t mean pushing and pulling our dog about the ring, but training them to do what we can’t – run, stand and exude their mandated breed characteristics in a show-stopping performance. The ultimate performing show dog is the one that appears to be carrying out all of the required ring maneuvers without being forced, pulled, prodded or generally fiddled with. If a dog isn’t ‘showing’ based on their own free will, then all the grooming in the world won’t turn the dog into a major winner. The most successful show dogs are those who exhibit their breed characteristics on the move with a freedom that gives the observer the impression that the dog is doing ‘it’ all by itself. Handling dogs to a show-winning performance is easy once you understand how to have your dog do exactly what you want, when you want it. All you have to do is learn how to communicate with them through words (sound), actions (sight), and feel (touch) what it is that you want them to do in keeping with the temperament, bearing and carriage specific to their breed. It’s only when we fail to provide these clear lines of communication that our dogs become confused and behave accordingly. On the other hand, no matter how well a dog exhibits all of its breed characteristics in a physical sense, if the presentation does not complement this, it will not win either. Presentation encompasses the whole overall look and condition of the dog. This includes coat and muscle and applies equally to smooth and long coated breeds alike. So, when it comes to asking whether presentation or performance is more important, the answer of course is both. Just remember – especially if you have a long-haired breed: “To avoid frustration aim for excellence not for perfection – you can achieve excellence, but rarely can you achieve perfection”.